★★★★☆ A terrific cast in an exuberant semi-staged production of a quaintly old-fashioned show. Cole Porter’s loosely-based musical version of Shakespeare’s The Taming of the Shrew may have been an inspiration for the Bernstein/Sondheim version of Romeo and Juliet. Although Kiss me, Kate does not attempt to replicate the original story as West Side Story did, it does have a glorious score and some great music, as one would expect from one of the masters of American popular song. Songs such as Another Op’ning, Another Show, Why Can’t You Behave?, Too Darn Hot, Always True to You in My Fashion, Brush Up Your Shakespeare plus the glorious love songs, Wunderbar, Were Thine That Special Face and So in Love, demand great singing. And this we got in spades in this breathless and exuberant semi-staged production by Opera Queensland. 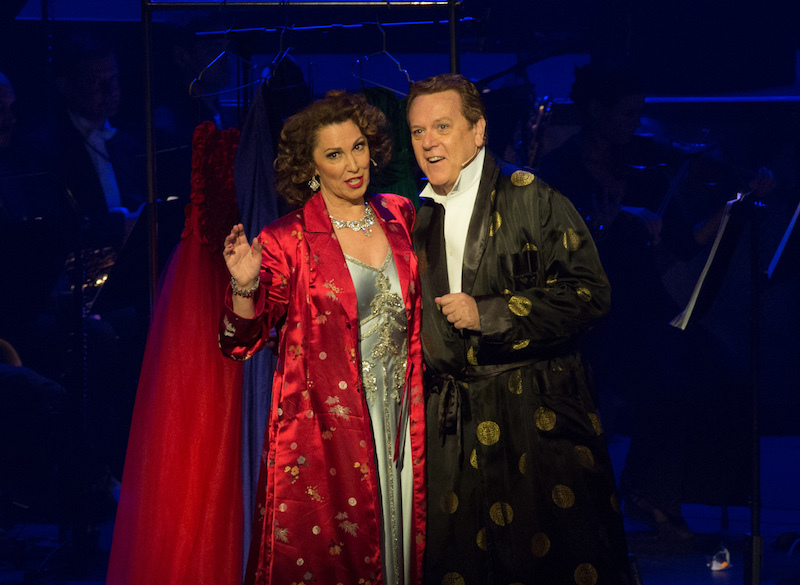 Attracting real-life husband and wife team, Peter Coleman-Wright and Cheryl Barker, opera royalty in Australia, to sing the leading roles of Fred Graham/Petruchio and Lilli Vanessi/ Katharine, was a factor in its success. Splendid in their roles, they both gave classy, polished performances as the dictatorial director, Fred, and his fiery and difficult leading lady, Lilli, who happens to be his ex-wife. Coleman-Wright injected an energy and passion into his relationship with Lilli with some of the best songs of the night including the humorous I’ve come to Wive it Weathily in Padua and Where is the Life that Late I Led? as well as the soul-searching and melodic Were Thine That Special Face. He sang beautifully and with great sensibility. Barker gave Lilli a strength and fire that spilled over into her on-stage theatre role as Katharine, especially memorable in the stirring I Hate Men. She and Coleman-Wright were at their best and most moving in their solo and joint renditions of Wunderbar and the stunning So in Love, one of musical theatre’s great love songs. Musical theatre star Naomi Price as Lois Lane/Bianca was terrific, her performances of Why Can’t You Behave? and Always True to You in My Fashion spot on. She was joined by Jason Barry-Smith as Bill/Lucentio who brought a truthfulness to his flawed character and delivered a very fine Bianca. 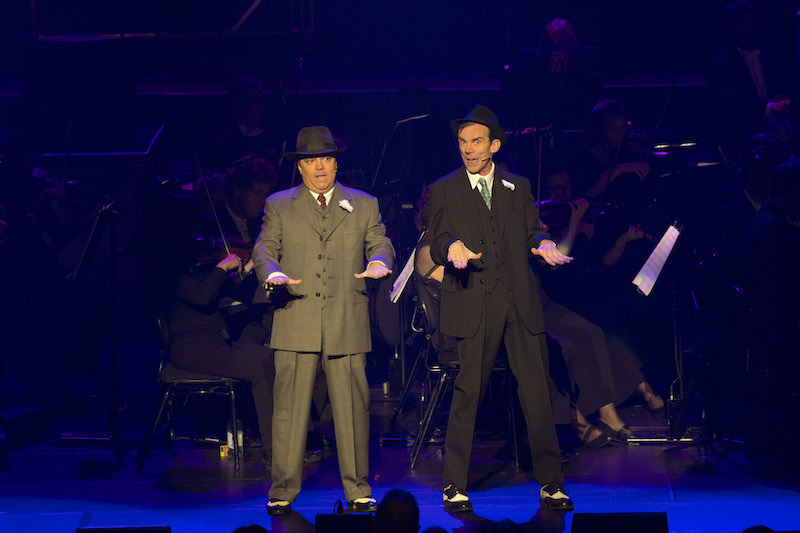 The two gangsters played by Bryan Probets and Shaun Brown had the right level of malice and stupidity to make them the fall guys, singing and dancing their way through Brush Up Your Shakespeare with aplomb. There were fabulous supporting performances from an excellent cast – a mixture of music theatre performers such as Kurt Phelan as Gremio, Bradley McCaw as Hortensio and Lizzie Moore as Hattie, veteran actor Robert Coleby as Harry/ Baptista and Paul Bishop, who gave us a marvellous suitor, Harrison Howell. 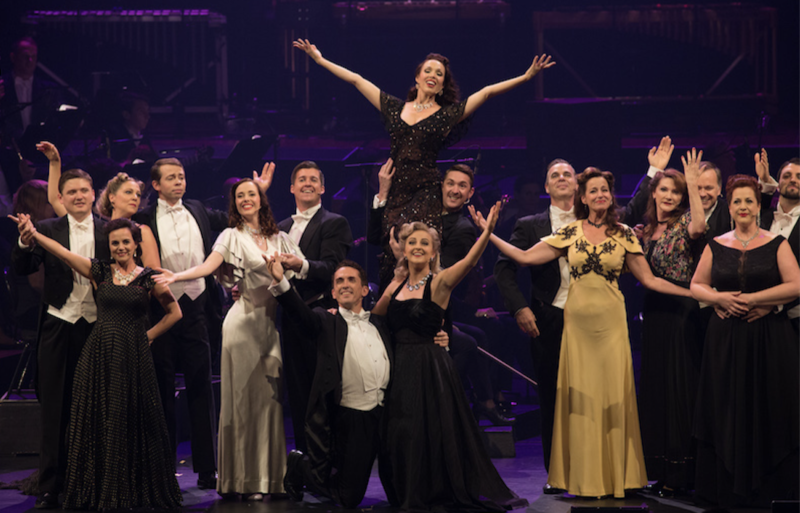 The Queensland Symphony Orchestra, under the assured baton of Guy Noble, played with verve and nailed the style from the beginning, with the welcome addition of some jazz elements including saxophones and guitar, while the brass were on top form. Director, Kris Stewart, brought this work cleverly to life on the stage, managing to introduce the flavour of Broadway with considerable ‘business’ to add a showbiz ‘wow’ factor, while allowing the songs to speak for themselves. He was assisted by period costuming and a clever stage design by Josh McIntosh and atmospheric lighting from Jason Glenwright. Choreographic and dance elements were a welcome addition, as was the fantastic tap-dancing routine that Christopher Horsey choreographed in Too Darn Hot with the services of the talented Queensland Conservatorium musical theatre students. From a text and story point of view, Kiss me, Kate is a quaintly old-fashioned, highly-stylised piece that does not easily translate to a modern context. It has a rather silly story and its reliance on a show-within-a-show theme, despite a few clever twists, only touches marginally on Shakespeare’s original play. The dialogue needs to be sparkling and witty for this to work well and unfortunately it fell short in this regard. Few of the period ‘witticisms’ raised more than a smile from the audience and some jokes simply made no sense. It was disappointing that the muffled sound system at the opening produced a muddy-sounding overture from the orchestra, while much of the dialogue in the first half of the show was incoherent. Fortunately it was possible to hear the orchestra relatively clearly after the opening overture, as well as the sung words in the songs, so one was able to piece the thin storyline together. These microphone and sound problems improved considerably in Act 2. This was not a totally successful evening, due to the clunky dialogue and sound issues, but it was impressively staged, offering an exceptionally fine cast who managed to deliver despite problems, fabulous orchestral accompaniment and the glorious tap dancing of the musical theatre students, one of the highlights of the evening. Forget your troubles and set sail with Royal Caribbean’s BRAVO Cruise of the Performing Arts. As Jo Litson discovers, it’s a wonderfully relaxing way to indulge in an almost endless supply of music and food, not to mention some tropical island bliss.